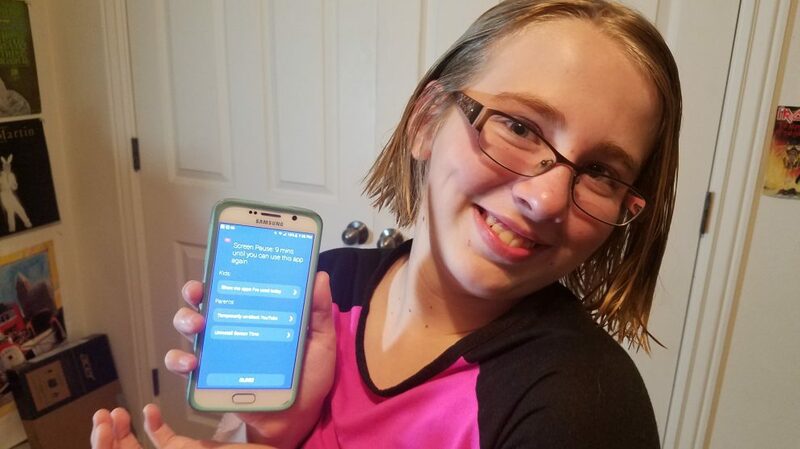 How Screen Time Helped Me Get My Daughter’s Phone Back! I really REALLY love the app that I have on my daughter’s phone called Screen Time. 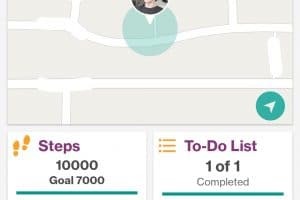 Not only does it let me monitor her phone in the way I want to monitor and limit it, recently it even helped me get her stolen phone back! Not too long ago, I took my kids to a STEM focused event at a local university. There were a lot of families in attendance. When my kids were building paper airplanes at one station, they both set their phones down on the table. We went over to another section in the same room to build star gazing charts, and while over there I asked my children where their phones were. They ran back over to the other section (which we could see from where we were) to retrieve their phones. The phones were gone. My son is too young for a phone with actual service, so it’s one of our old phones he uses to play games and take pictures and what not. My daughter, on the other hand has a fairly nice phone (a Samsung Galaxy S6), and service. My daughter was completely distraught. Searching all over the tables for her missing phone. I was getting upset. We went to the information desk and let them know what was going on, in hopes that someone had turned in the phones to them. Then I had a work emergency and we had to leave. I left my phone number with the coordinators, and asked them to give me a call if either phone turned up. 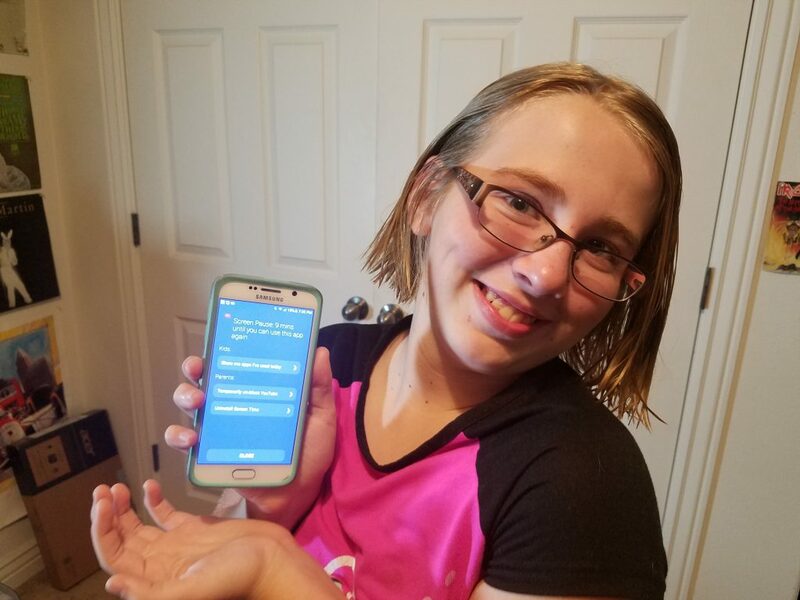 As I was driving home I got a phone call from them, informing me that someone had turned in my son’s phone… my daughter’s phone was still no where to be found. Even though the phones were together when they were left behind. A few hours later I got a phone call from the culprit. It was a kid. They said they had “found” my daughter’s phone. I asked them where they were, they didn’t know, I asked them when/where we could meet to get me the phone back, they didn’t know. I asked to speak to an adult, they wouldn’t hand one over. I asked for an email address I could contact, they gave me one! As I emailed it, it was clear that it was the kid’s account. Now it was time to get super serious. I had deduced that the kids had taken the phone, without telling their parents, and after learning that they couldn’t actually DO anything with the phone, they decided that they should probably give it back. They still didn’t want to tell their parents, though, that they had taken the phone. So, I used the Android Device Manager to pinpoint the phone’s location. It was up in Salt Lake. I emailed my little friends with the address and casually said “oh I have a friend near where you are at such and such address, I’ll just have him swing by and pick up the phone”. They literally called me back within seconds. Asking to meet them across the street and other fun strange stuff like that. When I said my friend would be there in about 15 minutes, I FINALLY got a phone call from an adult. They sounded quite embarrassed. I guess my little friends finally decided to come clean. My friend picked up the phone, and all was well again. I seriously 100% credit the return of the phone to the Screen Time app. Not only does it completely help keep my daughter safe on her phone, it also saved her phone from would be little thieves. Hooray for technology! If you aren’t using Screen Time on your children’s phones and tablets yet, I HIGHLY recommend the app. I don’t even know people at the company, so this post is in NO WAY sponsored. I just love it!